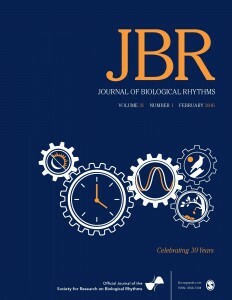 During his tenure as editor of the Journal of Biological Rhythms (JBR), Martin Zatz has penned Editorials and Letters that shed light on various aspects of the academic enterprise. Some are wistful, others poignant or trenchant, and an occasional one offers advice. They not infrequently document and lampoon trends and human foibles, and invariably provide insights into Homo scientificus. Here we have compiled these Editorials from JBR, as well as certain letters published in successive April issues of the Journal. The letters were April Fool’s Day spoofs (exposed in Nature 2004 428: 457) written by Zatz to himself, in which he explores issues via satire and parody. The letters have high human-interest. We hope that readers of JBR who missed these items, or who recently joined this field, will enjoy the material as much as we have. 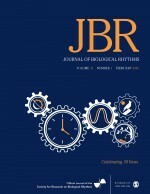 Editorials and Letters on the following pages are reprinted from the Journal of Biological Rhythms (http://jbr.sagepub.com/) by permission from SAGE Publications. *All the Editorials listed here were written by Martin Zatz, who, by conventional standards, is real. All the Letters posted here are attributed to fictional authors. The author of the first Letter listed (December, 2000) is M. Pupique. “Pupique” is a Frenchified version of “pupik,” which means “belly-button,” and “M. Pupique” is a variant of a name given to an ordinary man who puts on airs. His first affiliation was composed of words related to “navel.” He then moved to the fictional “Chelm Institute.” Other Letters were ascribed to Pupique’s colleagues at the Institute. “Chelm” is the name of a “town of fools” in folklore, with tales told of its inhabitants and “wise men.” After the War, these wise men came to America and started an Institute so they could give each other tenure. One luminary they attracted was Nikolai Ivanovich Lobachevsky, a real 19th century Russian mathematician who had the posthumous misfortune of having a cynical song about him composed and made famous by Tom Lehrer. Another luminary, Quincy Adams Wagstaff, was recruited as Director. He had been President of Huxley College and was portrayed by Groucho Marx in “Horse Feathers.” Of course, he accumulated other titles as well. Any resemblance to ideas, sentiments, or human types you have encountered is not entirely coincidental.